There are only six states in the U.S. that get less than an inch of snow per year. So if you live in one of the 44 other states, chances are pretty good you’ll have a snow day during the winter. For kids, a snow day during the week is especially exciting—especially when school is cancelled. There’s nothing more fun than staying home from school to play in the snow. 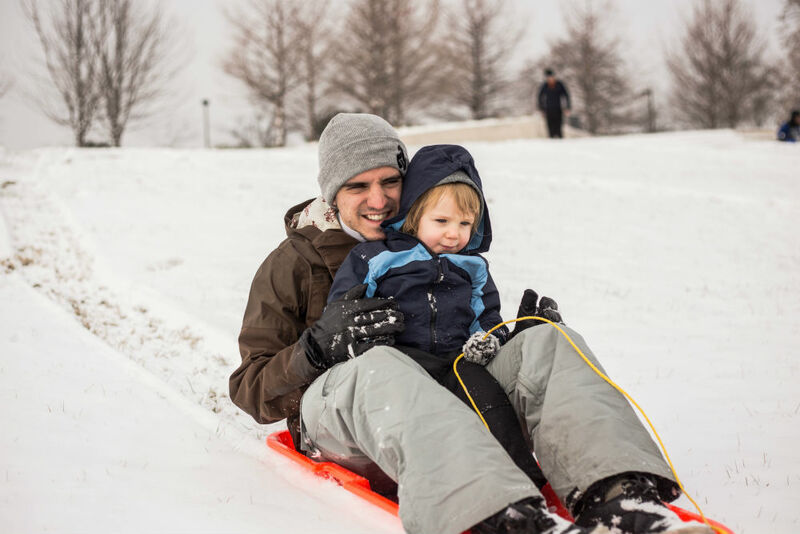 For parents, a snow day—either on a school day or the weekend—means keeping the kids entertained, and that means you’ll probably be spending some time outside in the snow, too. But if a blanket of snow, cold temperatures, and coming up with ways to keep boredom at bay during a snow day doesn't leave you feeling excited, don’t panic. A snow day can be fun for everyone in the family, and a Vivint Smart Home can help make it a perfect day. Whether you make a classic snowman or an elaborate snow fort, snow sculptures are a chance for your family to get creative. You can also add a few drops of food coloring to a bottle of water to add some color to your creations. Get creative by making a classic snowman or something more intense—either way, your kids will love it. It's one of the most popular outdoor activities and it's one kids of all ages will love. Look online for the best sledding spots in your city, and then bundle up and hit the hills. 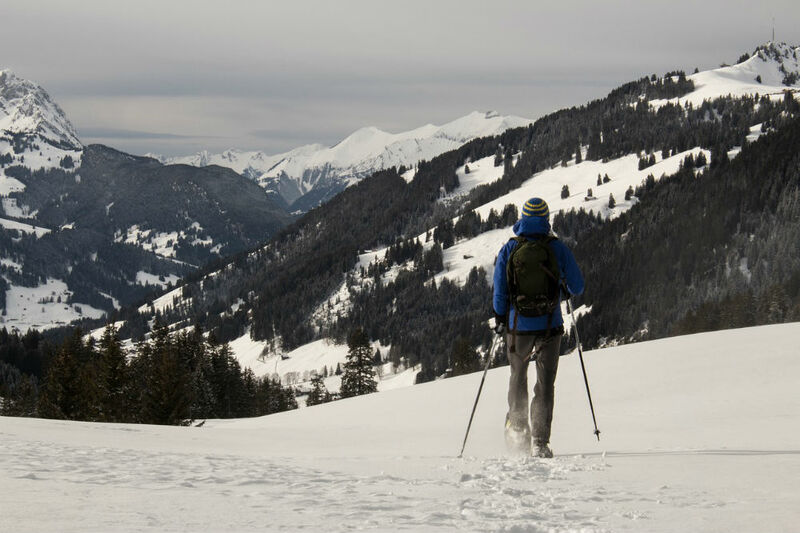 A snow hike can be as simple as trudging through the snow in your winter boots, or you can rent or buy snowshoes and go snowshoeing on a trail. It's a great way to enjoy the beauty of winter and get some exercise at the same time. Get outside and enjoy nature—even on a snow day—by snowshoeing. This is a unique and tasty treat that only requires a few ingredients. Kids will have fun gathering snow and helping make it in the kitchen. If you need a break from the cold, come inside, turn on the fireplace, and bundle up for a movie night. Sometimes the best way to enjoy a snow day is with a movie night. It can be hard to keep the house warm when the temperature outside is freezing and you have kids running in and out. It can also be hard on your energy bill. That's where the Vivint Element Thermostat comes in. With this smart thermostat you can adjust the temperature from anywhere using your Vivint Smart Home app to make sure your house is nice and warm when you come back from a day in the snow. While you're away, the Element Thermostat uses in-home sensors and geolocation to adjust your temperature automatically when you're out, helping you to conserve energy and save on heating costs. It's a common scenario for parents and sitters everywhere: you've spent an hour or two outside playing in the snow with the kids, and now you're cold and ready to go inside. But your kids are begging for "just a few more minutes" to play. A Vivint Outdoor Camera makes this situation win-win for everyone. The wide-angle lens and crystal clear picture lets you keep an eye on your kids while they play in the yard. 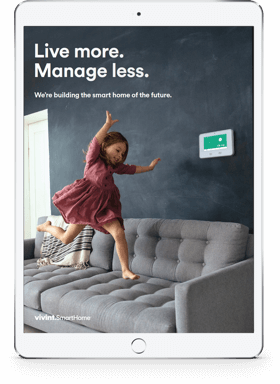 This means you can check on your kids from anywhere in the house by watching the live feed on the Vivint Smart Home app. 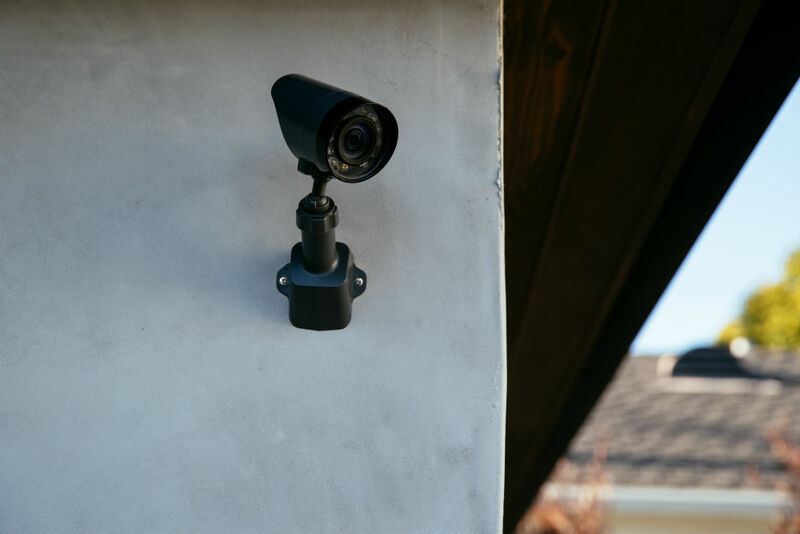 Keep an eye on your kids while they play with a Vivint Outdoor Camera. If your snow day takes you on an adventure away from home, you can rest assured your home is secure while you're gone. And if you get distracted loading kids and snow gear into the car and forget to lock up, it's no problem. Lock your doors, arm your security system, and even close your garage door all from the Vivint Smart Home app. When it's time for movie night and you want to turn off the lights, all you need to do is tell Google Home. This voice-activated smart speaker integrates with many of your smart home devices, including your smart thermostat, smart locks, and security system. 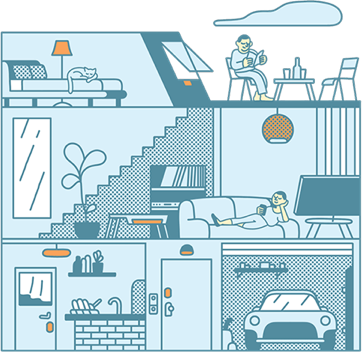 You can turn lights on and off, adjust your temperature, lock and unlock your front door, and arm your security system with just the sound of your voice. Your smart speaker can also give you info you need to make your snow day fun. If you want to know where the best sledding spot is, find a recipe for snow ice cream, or you just want to know when it's going to stop snowing, just ask Google. 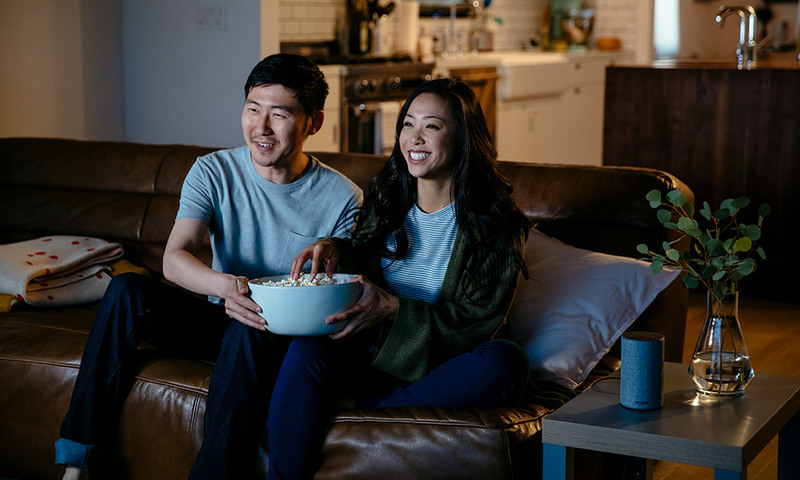 Whether you spend your snow day playing in the yard, enjoying nature, or watching a movie by the fire, a little preparation and help from your Vivint Smart Home can help make sure your snow day is perfect. From rain or shine to snow or sleet, a Vivint Smart Home works for your to make your home comfortable and convenient for your whole family. 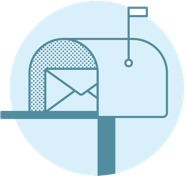 To see for yourself, give us a call at 800.646.1469 for a free smart home consultation today.